Feb. 15, 2017 — The FDA announced a Class I Recall of the Comprehensive Reverse Shoulder Humeral Tray (Model 115340) because the devices are fracturing at a higher rate than stated in the labeling. Zimmer-Biomet initiated the recall of its Comprehensive Reverse Shoulder Implant on Dec. 20, 2016 when it sent an Urgent Medical Device Recall Notice to affected customers. The recall notice advised those customers (i.e. 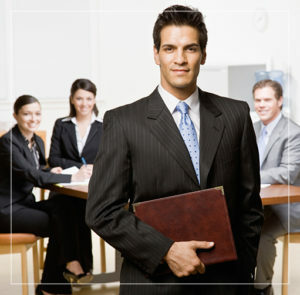 physicians, healthcare facilities, etc.) not to use the recalled devices and said its sales reps would be by to remove them. FDA classified this recall as a class I — the most serious type of recall because there is a “reasonable probability” that the device will cause serious adverse health problems or death. Zimmer-Biomet said doctors should monitor patients implanted with the recalled device as usual and provided no additional patient monitoring instructions. About 3,662 implants were affected by the recall. To view the full FDA Class I Recall and to see a list of affected lot numbers, visit the FDA’s website. Did you suffer serious complications after having a Biomet Comprehensive Reverse Shoulder System implanted? Biomet recalled some of its Comprehensive shoulder replacement implants in 2010 after receiving complaints from patients and doctors about the device fracturing after surgery. If you or someone you love was injured as a result of complications from Biomet’s Comprehensive Reverse Total Shoulder System, you may be entitled to compensation. Contact our lawyers and attorneys today as there may be a class action lawsuit forming with substantial cash settlements from claims filed. Call the experienced lawyers at National Injury Help today for a free consultation to see if you qualify for a Biomet Comprehensive Lawsuit. Call 1-800-214-1010 at any time for a free case evaluation or use the form on the right-hand side of your screen. The Comprehensive device was approved for use in 2007 under the U.S. Food and Drug Administration’s 510(k) premarket program. This meant Biomet only had to show that its new device was “substantially similar” to others currently on the market, bypassing the need to submit rigorous clinical safety and efficacy studies for approval. Just a few short years after the device was approved by the FDA, Biomet recalled components of its shoulder implant system, citing complaints from patients and doctors about device fracturing. Over 50,000 Americans undergo shoulder replacement surgery each year to relieve joint pain. There are several types of shoulder replacement surgery, including conventional and reverse shoulder replacement. While the vast majority of shoulder replacement surgeries are successful, some patients implanted with Biomet’s Comprehensive Reverse Shoulder System found that their surgeries were anything but successful. Individuals harmed by the Comprehensive Reverse Shoulder System may be able to seek settlements in the form of a Biomet Comprehensive Lawsuit. 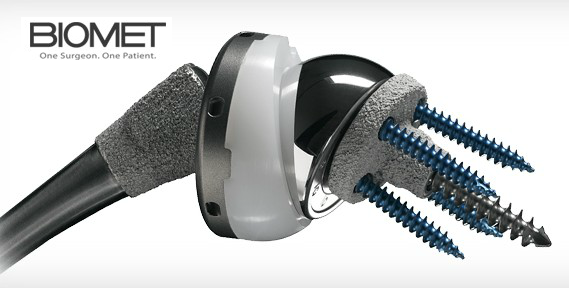 [UPDATE] The FDA announced a class I recall of Zimmer-Biomet’s Comprehensive Reverse Shoulder Implant on Feb. 15, 2017. See the FDA’s announcement for more information. Biomet agreed to settle a lawsuit involving its Comprehensive Reverse Shoulder System for $350,000 in February 2016. Patients harmed by Biomet’s Comprehensive Reverse Shoulder System may be able to seek compensation for medical expenses, wages lost and other damages in the form of a Biomet Comprehensive Lawsuit. National Injury Help is currently investigating cases for a potential lawsuit against the makers of the Comprehensive system, Biomet Inc., now Zimmer-Biomet. If you or someone you love suffered complications like device failure or a need for additional surgeries after being implanted with a Comprehensive device, call the National Injury Help today to speak with a member of our legal team. We can answer your questions and help you determine if your case qualifies for a possible Biomet Comprehensive Lawsuit. Call National Injury Help anytime, day or night, at 1-800-214-1010 or use the form on the right-hand side of your screen.